Jacob Suarez, a film production major at Clayton State University, interned with the Clayton County Communication Department. 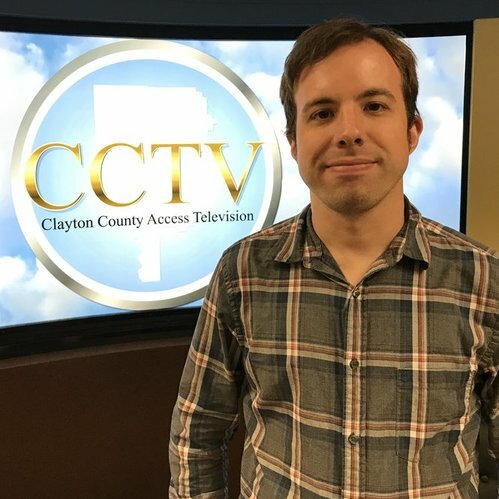 Suarez’s responsibilities included filming events and shows, editing the footage, and planning future shows for the Clayton County Television (CCTV) channel and website. When asked about the most enjoyable part of the internship, Suarez noted the ability to be creative while learning to develop and cultivate skills important to a future career. Throughout the internship, he was given creative freedom to choose the direction of his videos and allowed to edit them into showable programs, with the CCTV team assisting in making adjustments as necessary. Upon graduation, Suarez plans on working on the production side of programming.. He credits the internship with providing him with skills beyond video production. He learned how to run a multi-cam switcher and shoot a multi-cam production. The internship further taught Juarez how to be attentive and think one step ahead to get the best footage in a moment, which he considered to be a highly valuable tool in film production. Suarez highly recommends this internship as it allows for students to learn about the broadcasting and communication field while also having the ability to be creative and serving a greater purpose. He is now considering a career in county government if given the opportunity.